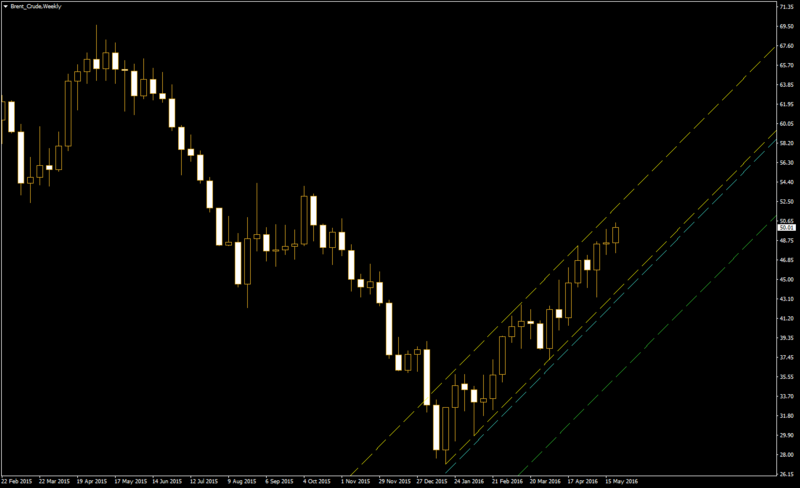 Brent crude oil remained in an uptrend channel on the weekly chart after entering it by the end of January. Couple of weeks ago we have offered potential targets in case prices would break to the downside. The downside breakout has not happened, but it did not mean that prices are going to rise indefinitely. Prices usually do not move in a straight line, and most of the times a long rally leads to a big correction eventually. Therefore, the present chart provides updated targets in case such correction occurs. The basics of the chart remains the same as before. The yellow lines indicate the channel itself. 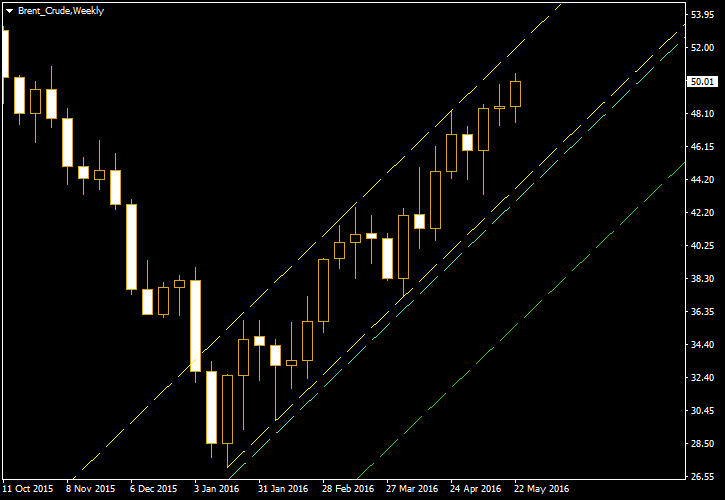 The cyan line offers an entry level for short positions if prices go down. The green line suggests the level at which traders should book profit. This channel was detected using the Channel Pattern Detector indicator. The chart was built using the ChannelPattern script. You can download a MetaTrader 4 chart template for this Brent crude oil pattern. You can also trade it using the free Chart Pattern Helper EA.